Snow bird, Year round resident or Investor. This Resort Style Comm. has a Beautiful 18 Hole Golf course, swimming, tennis and much more. Totally FURNISHED ready to occupy. this lovely villa has a living rm./dining rm. combination with Vinyl flooring installed in 2016, overlooks 7th Hole on the beautiful Golf course, small lake.Sliding doors out to your private screened lanai. 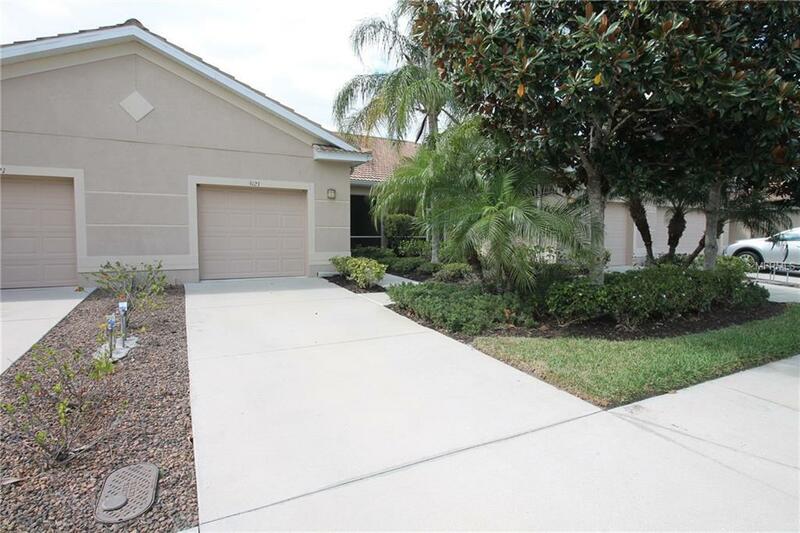 this well maintained home has a great open kitchen w/ corian ctrs. appls. breakfast area with Bay window. Light fixtures,tiled flrs.& also breakfast bar, Has a good size MBR Suite with private bath & walk-in closets. Sliding Doors out to the front Lanai. Second Bed., utility Rm. second Bath All with Vinly or Ceramic Tile flooring, NO carpet. Heat Pump/AC unit replaced Sept.2015. Must see to Appreciate the View!